​​My favorite way to honor Jewish Book Month might also be the simplest one: read a book! It can be difficult to pick the right book, so I put together a few different lists that can help you on your way. Now all you have to do is pick one from these lists, curl up in a comfortable chair, and read away. As my local librarians can attest, I like to keep up-to-date on the newest critically acclaimed novels. Some of these even have Jewish characters! Here I Am by Jonathan Safran Foer is the newest of his books, and moments in the story made me laugh out loud in recognition of my own Jewish family. Mischling by Affinity Konar has been on my to-read list for months: it is about two twin sisters in Josef Mengele’s horrific Auschwitz experiments and beyond. The acclaimed Nicole Krauss just released her newest book, called Forest Dark, which traces the personal journeys of a middle-aged lawyer and a young novelist as their paths cross in the Israeli desert. Paul Auster’s 4 3 2 1 was short-listed for the prestigious Man Booker prize: though it is a novel, it holds pieces of Auster’s past as chance brings his protagonist through four completely different lives. 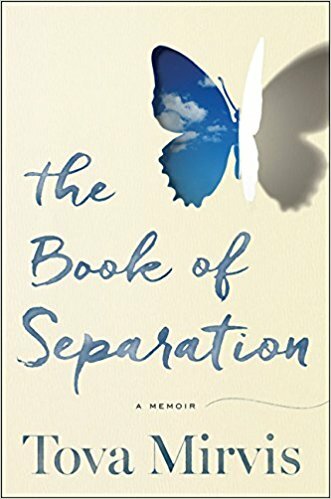 If memoirs are more your cup of tea, I recently found myself engrossed in The Book of Separation by Tova Mirvis. Mirvis has also written a few novels, which I’ve never read but her account of leaving her marriage and Orthodox Judaism was raw and beautiful. It even distracted me from my Yom Kippur fast. I recommended this next book in last December’s newsletter, but I love it so much I’ll say it twice: I’m Supposed to Protect You From All This by Nadja Spiegelman, daughter of MAUS’s Art Spiegelman, made me cry and laugh and call my mother. This account of troubled, yet loving, mother-daughter relationships through the generations soon made it onto the reading lists of every woman in my family; we all loved it. For another non-fiction pick, I must recommend The Cooking Gene by Michael Twitty. Twitty is a remarkable food historian, drawing from both his African-American and Jewish legacies. In his long-awaited first book, he traces both of these family histories through food, bringing his readers from plantations to Deep South synagogues, battlefields to barbecue, and beyond. I, for one, am eagerly anticipating getting my hands on a copy. If you are looking for Jewish children’s books, there is I Dissent: Ruth Bader Ginsburg Makes Her Mark. Debbie Levy and illustrator Elizabeth Baddeley trace the life of this indomitable Jewish woman, who from a young age never took no for an answer. Sadie and Ori and the Blue Blanket, authored by Jamie Korngold and illustrated by Julie Fortenberry, traces a beloved pair of siblings as they navigate their grandmother’s aging. As the weather finally cools down, I am looking forward to spending time indoors with both Jewish and secular books. I hope this list gives you some ideas for reading materials – and if you have any recommendations of your own, feel free to send them our way at the ISJL!